Jughead Jones is already well known for his love of eating, although his favorite food is normally hamburgers. A sideways step into the world of Afterlife with Archie-style horror means it’s not that hard to imagine the Riverdale teen becoming a werewolf hungry for something more sinister, is it? Although we heard a while ago that Archie Comics was looking to experiment with a werewolf Jughead book as part of a series of new one-shot comics that could potentially spin off into their own ongoing series, Entertainment Weekly has now revealed new details on the gory, bleak new Jughead comic. Written by Frank Tieri and with art by Michael Walsh, Jughead: The Hunger will see Jughead wrestle with the fact that he’s secretly a monster that’s begun terrorizing his hometown asthe Riverdale Ripper. EW’s preview even gives us a shocking look at Wolf-Jug’s first victim: none other than poor Riverdale High schoolteacher Ms. Grundy. Honestly, it’s great to see the Archie comics universe played with like this—the zombie-filled Afterlife with Archie was already more than enough proof that Riverdale can easily fit into a genre like horror, and between it and The Chilling Adventures of Sabrina, Archie Comics has actually been putting out some of the best horror comic content around in recent years. 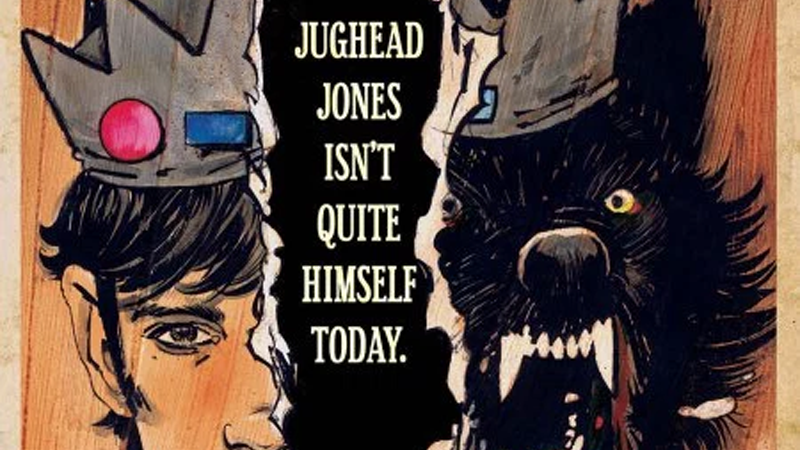 If that means Werewolf Jughead lugging around the severed head of Ms. Grundy gets to be a thing, I am more than happy to see it. Hopefully The Hunger ends up being fun enough that Archie Comics considers giving it an ongoing series! Jughead: The Hunger is due out March 29. You can see a few more pages from the issue at the link below.